Nothing’s better than waking up on the day of your birthday and seeing that you have a bunch of cards sent from loved ones and friends waiting for you in your inbox. American Greetings allows millions of people worldwide to enjoy sending greeting cards with ease with their simple to use eCard services online. Most of the cards on this site can be sent for free. Whether it’s a birthday, graduation or even a get-well card, American Greetings has everything you’re looking for and more. The only thing you need to use this site is your recipient’s email and a short heartfelt message. With American Greetings, you can send personalized eCards for all imaginable occasions. So, go ahead and let the child in you go wild by sending out amazing greeting cards that are touching, funny and fun with every occasion. 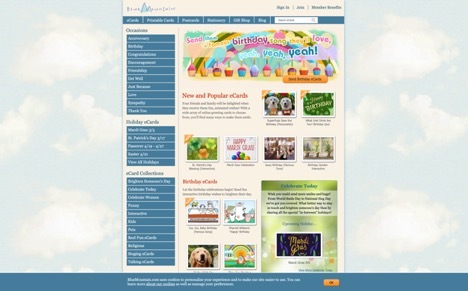 Make your own greeting card from scratch, or choose one of the pre-made electronic greeting cards to get started. American Greetings gives you the option to send an ecard online or to print it out and send it the old school way through snail mail. If you’re planning a party, you can also shop for all your supplies and decor on this site too. Coordinate your invitations and decorations for a party that will be remembered forever. While American Greetings offers an excellent choice of free eCards online, you may not always find exactly what it is you’re looking for. For that reason, we went digging to find the best greeting card sites like American Greetings online. Whether you’re looking for simple and free eCards online or even if you want to send custom eCards that really stand out, we’ve got everything you need and more. Start browsing this list now. You don’t need to wait for a special occasion to send out a card, any day is the right day to put a smile on the face of someone you love. One of the best alternatives to American Greetings is JibJab eCards. This digital media company has been around since 1999 and JibJab have already served more than a billion happy customers. They bring you truly personalized eCards that you can send out with the press of a button. JibJab has thousands of quality eCards for you to choose from, but they also specialize in unique eCards such as the very famous Elf Yourself series. If you don’t know what the Elf Yourself series is, it’s a famous ecard that incorporates your face in the card. The elves that look like you and your loved ones dance around and sing famous songs like Jingle Bells in these kooky greeting cards. Find hundreds of other personalized musical cards on this site that range from Halloween to Labor Day. 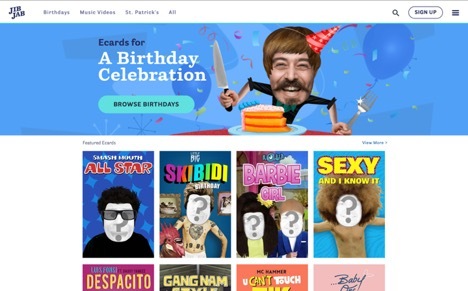 This online greetings site is a ton of fun and JibJab adds new interactive card options all the time, never repeat a card again. Check out the JibJab free eCards now, you won’t be let down. Blue Mountain is easily one of the best eCard sites like American Greetings online. They offer a massive selection of cards that include birthday cards, funny cards, Mother’s Day cards, national holiday cards and a ton more. Check out the premade cards or choose from the hundreds of templates to create something personalized. With Blue Mountain, you will be able to easily send greeting cards by mail and free eCards online instantly without any hassles. If you want to add something special to your card, Blue Mountain has a huge selection of discounted gift cards for stores like Amazon, Bed Bath & Beyond, and Target and a large selection of printable calendars, postcards, and stationery that can all be personalized to your liking. Celebrate every day of the year with Blue Mountain Cards. 123 Cards always offers a huge selection of quality eCards that are both very original as well as available for just about any occasion. Whether you want to send out wedding invitations online or even if you want to send Father’s Day eCards online, 123 Cards will make it easier than ever for you to find the best virtual cards online. 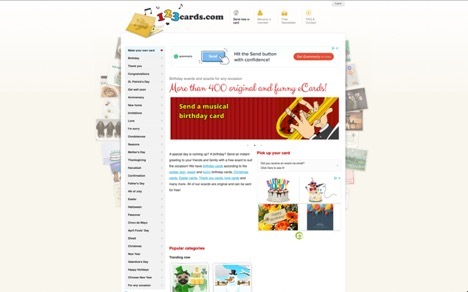 On this site, you can find animated cards, musical cards, and cards that can be personalized. 123 Cards has more than 25 categories to choose from and more than 500 different original and funny card selections in their inventory, making it one of the largest free card sites on our list. Register for a free account on this site to keep track of the cards you’ve sent out and the important dates that are coming up. 123 Cards will notify you by email. The cards on this site are a little outdated, if you want something with a little more flair, check out one of the other recommendations on our list. If you love animated eCards, Acapela is one of the best greeting card sites like American Greetings that will absolutely provide you with great moments. 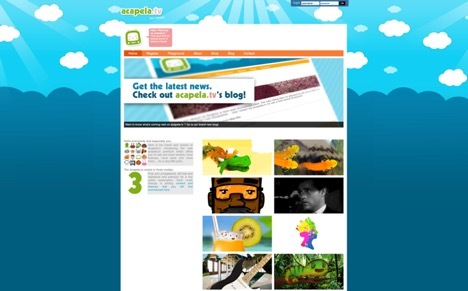 Whether you’re looking for virtual greeting cards or even if you want to send basic thank you notes, Acapela has it all. They allow you to send out custom eCards for free and you are sure to have a blast browsing their massive collection. This company specializes in talking cards and animated cartoons. To get started on this site, choose a card that fits your occasion. Add the pre-recorded messages to the card of your choice or connect a microphone to your device to add a personalized message using your own voice. If you’re looking for something unique that’s guaranteed to make anyone you love to smile, try this top electronic greeting cards site. Acapela is a ton of fun, try this last alternative to our list of American Greetings now to create a memorable card for any day of the year.